Alcorn McBride offers two different approaches to lighting control, tailored to different requirements. Both units may be used with a show controller or as stand-alone lighting controllers. 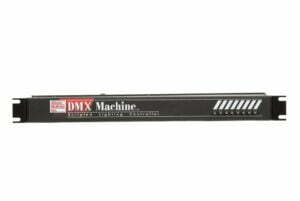 The DMX Machine provides an extremely economical and powerful control solution. 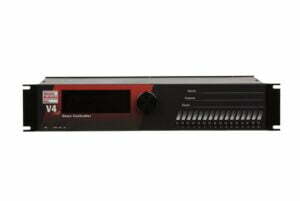 It combines the advantages of our ScriptOS show control operating system with 512 channels of DMX control. It’s ideal for shows that need an intelligent controller and lend themselves to scripting, such as automated presentations, museum displays, fountains, flicker flames and chase lights. 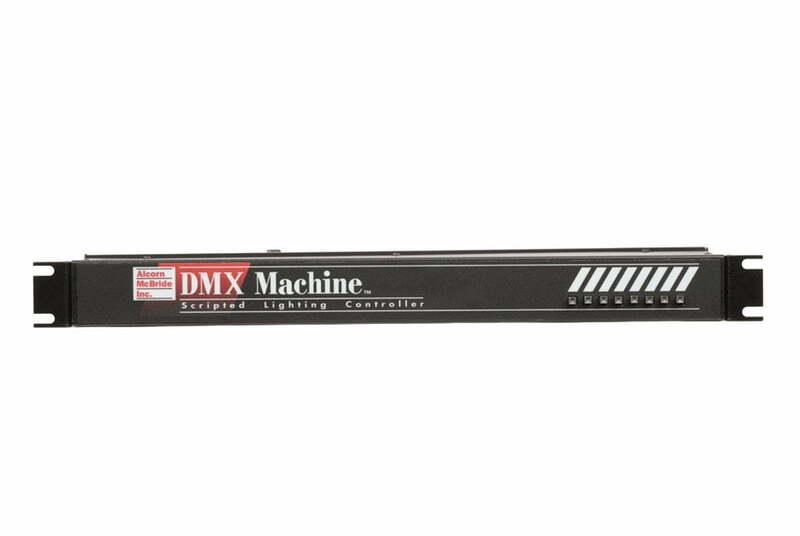 The DMX Machine can control anything from architectural lighting to stage fixtures to strobes. Hundreds of sophisticated lighting sequences can be stored in the DMX Machine’s non-volatile memory. 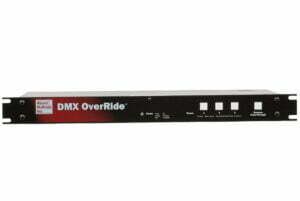 Like Alcorn McBride show controllers, the DMX Machine is programmed using WinScript, our spreadsheet-like editor. That means it’s not just a dumb playback device – it can make decisions based upon timing and logic. It can easily handle many independent areas, such as a preshow, main show and postshow. Because the DMX Machine is a complete show controller it can be used all by itself in a small show, controlling both lighting and a single serial device. It can also be used as an RS-232 to DMX translator, providing a way for a serial device such as a PC or third part controller to manipulate all 512 DMX channels, either individually or as scripted cues. 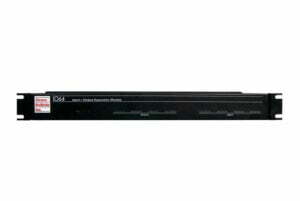 We also include a Windows application that lets you use the DMX Machine as a lighting console. For more complex shows Alcorn McBride’s LightCue eliminates the need for scripting. 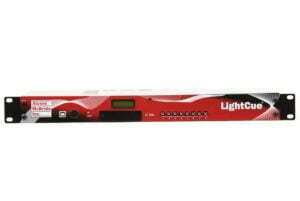 Let your lighting designer program the show using his favorite lighting console, then simply record the DMX data directly into the LightCue. (16) TTL inputs, internally pulled up to +5 VDC, suitable for contact-closure operation. Trigger latency < 1 frame. 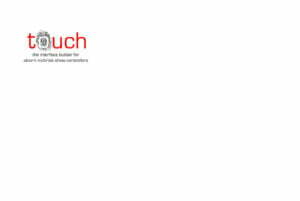 Our powerful scripting language for designing, testing and downloading your show into any of our show controllers. The I/O Breakout Box brings the DMX Machine’s parallel inputs to an easy-to-wire terminal block.